CHULA VISTA — The Friends of the Chula Vista Library will host a free showing of the 1976 movie “Farewell to Manzanar” at 6 p.m. on Wednesday, May 8, at the Chula Vista Civic Center Library, 465 F St. This event is being held conjunction with an exhibit at the Chula Vista Heritage Museum documenting the history of the local Nikkei community, including its internment during World War II. 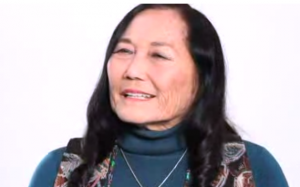 The movie, based on the book by Jeanne Wakatsuki Houston and James D. Houston, focuses on Mrs. Houston’s experiences as a young girl at the Manzanar internment camp and her family’s re-entry into the community after the war. The exhibit, developed in partnership with the Japanese American Historical Society of San Diego, will close on May 30. The museum is located at 360 Third Ave. in downtown Chula Vista. Hours are noon to 4 p.m. Tuesday and Thursday, noon to 3 p.m. Saturday.